EXCLUSIVE AT CURATED-CROWD.COM. 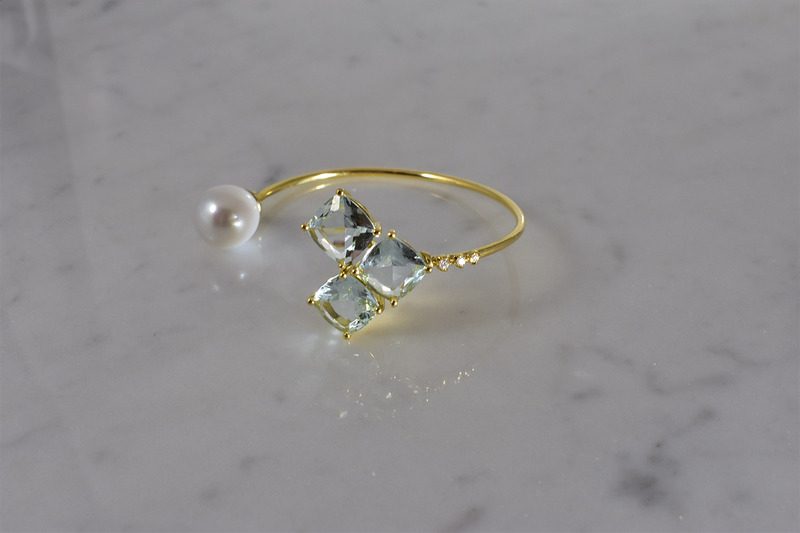 This piece blends perfectly the brilliance of aquamarines and the elegance of pearl. The sharp contrast between the two geometry shapes add in an extra edginess to the design. 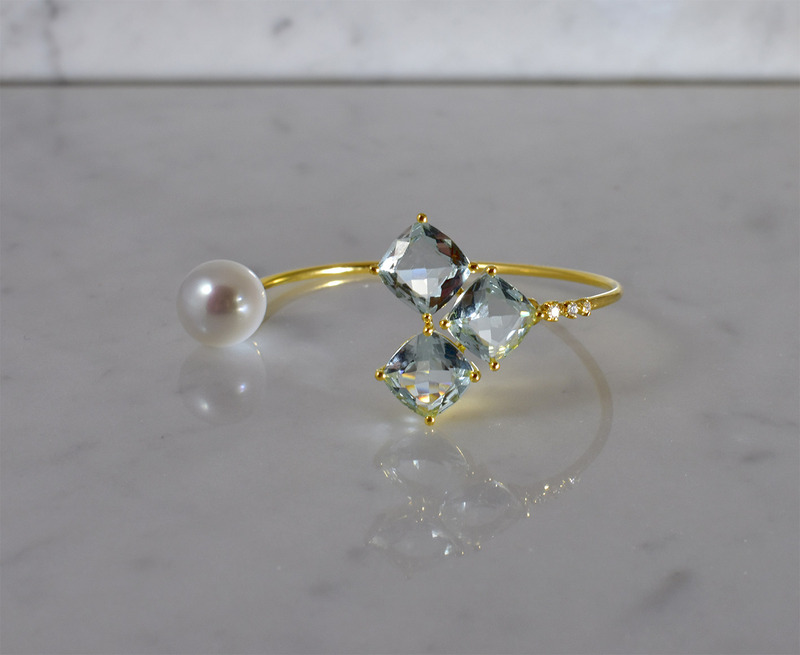 Aquamarines total circa 9ct, large pearl, diamonds, yellow gold 18ct. From Dalia’s hand sketched designs to the exquisitely crafted final pieces, it is a thrill to see how she brings each creation to life and tkes advantage of each jewel’s unique sparkle and colour.